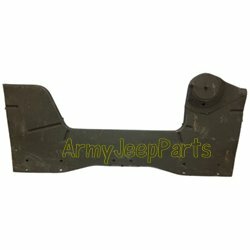 These are NOS rear panels for all M151A2 model jeeps. Limited Qty. & Very Rare. These are NOS rear panels for all M151A2 model jeeps Limited Qty and Very Rare. Please note this part will have an oversize charge on top of the estimated shipping charge shown in your shopping cart!